They peep, the chicks, flapping up a cloud of dust with their sienna-colored wings, hopping from one jury-rigged roost to the next in the dog crate I’ve set up for them next to the rabbit hutch. When I throw chicken feed into the crate, they scratch at the ground with their yellow claws, already powerful, though they are only a month old. We don’t want to eat them. 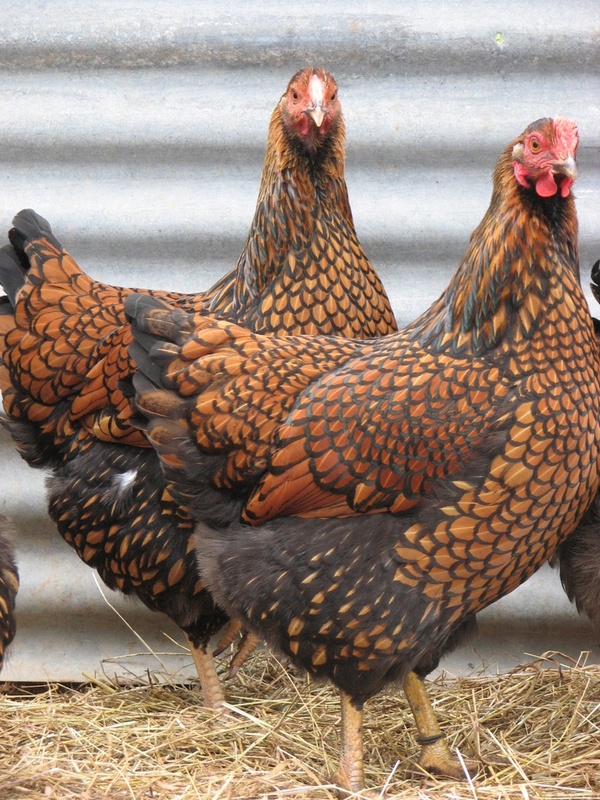 A free-range chicken is a bug-fed chicken. They began their lives as a school project, the Golden Wyandotte chicks that we call Janusz and Spartacus, a clutch of tinted eggs sitting in an incubator in Miss Carol’s classroom. I told her I would take two. Apparently, I am the only mother to do so. Yes, why? I suppose I could blame the kids; they begged for them, not just this year, but last year, as well. But the truth runs deeper than that. Though I grew up in a city, my grandfather was part of the farming community in eastern Poland, a man who made harnesses and saddles, upholstered wagons and carriages. My grandmother drove a wagon to market to sell butter and eggs. As soon as I was old enough, I took myself to a kibbutz in Israel, where I worked in a barn full of chickens, listening to the Beatles on a tinny radio as I sorted eggs by size and breed. Perhaps it’s in the blood, this wordless need to be connected to the land, the same primal urge that makes me plant tomatoes and cucumbers in the sunny patches in my yard. Inside the house, it’s 2011. The kids have finals, I’m working on a portrait, I have to condense two hundred pages of manuscript into something short and punchy. But in the backyard, it’s another century. There’s the timeless coo of brooding hens, the thoughtful ruminating of the rabbits, and heirloom tomatoes taking their own sweet time to grow big and round and red. What’s a soft hearted farm gal to do? Pretend that said YOUR post. sorry! Thanks, Wendy! What kind of chickens do you have? Good luck with your little roosters. My friends keep emailing me recipe suggestions. Maybe you have a couple of friends who would like an exotic new pet that doubles as an alarm clock.